President Nana Addo Dankwa Akufo-Addo, has revealed that his administration has set aside, for 2018 alone, an amount of GHS500 million to construct new roads, as well as give a facelift to some existing roads in the Ashanti Region. Speaking at the Akwasidae celebrations, on Sunday, 12th August, 2018, at the Manhyia Palace, President Akufo-Addo noted that, despite the “unprecedented infrastructural development” touted by the predecessor government, the consistent cry of the Ghanaian people, everywhere he has been since becoming President, has been about the poor nature of their roads. “So where is this unprecedented infrastructural development that was touted by my predecessor? 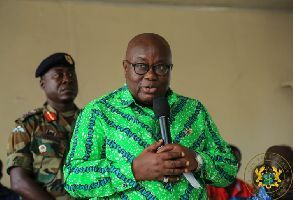 The roads in Ghana’s second biggest city, Kumasi, are nothing to write home about, even though much of the country’s revenues and resources come from the Ashanti Region,” the President bemoaned. The President noted that his administration cannot fix all roads in the Region, and, indeed, in the entire country at a go, but assured that before he leaves office, the vast majority of roads in the country would have been fixed. Government’s focus on infrastructure, he said, is not only about the development of the country’s road network, stressing that railway infrastructure is also critical to the country’s needs. He, thus, appealed to Otumfuo Osei Tutu and all the Chiefs of the Ashanti Region to support the programmes and policies put in place by his Government, and also help educate their subjects about the importance of these measures, and they being the surest route to progress and prosperity. “There will be those who will always want to obstruct progress, and put obstacles in my way and in the way of my government. But, I can assure them that it will not work. 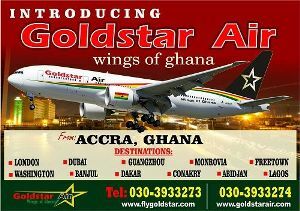 These programmes, when implemented, will bring development to Ghana and, indeed, to Asanteman,” he added. President Akufo-Addo also paid tribute to the work undertaken by the Asantehene in bringing most chieftaincy disputes in the region to an end. “My wish is that, when the story of our country’s history is being told, it should be said that it was during the time of two friends, Otumfuo Osei Tutu and President Akufo-Addo, that Ghana and Asanteman were put on the path of progress and prosperity,” he added.